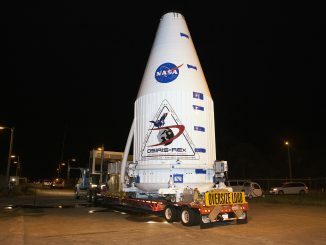 United Launch Alliance, a 50-50 joint venture between Boeing and Lockheed Martin, said the problem was narrowed to a ground system at Cape Canaveral’s Complex 41 launch pad. The countdown was paused to allow members of the Atlas 5 launch team to study a stuck fill-and-drain valve needed to fill the rocket’s first stage with liquid oxygen. Engineers investigated the problem before calling off Thursday’s launch attempt, which had a 40-minute window to blast off with the U.S. Air Force’s fourth Space Based Infrared System satellite heading for geosynchronous orbit more than 22,000 miles (nearly 36,000 kilometers) over the equator. 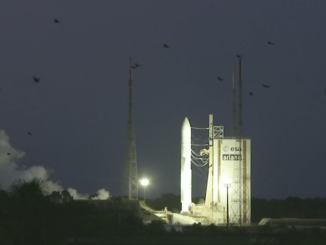 The company said another launch attempt was possible Friday, with another 40-minute window opening at 7:48 p.m. EST (0048 GMT), assuming the valve problem is resolved in time. There is a 90 percent chance of favorable weather for Friday night’s launch window, with a slight concern for cumulus clouds that could pass over the launch pad. 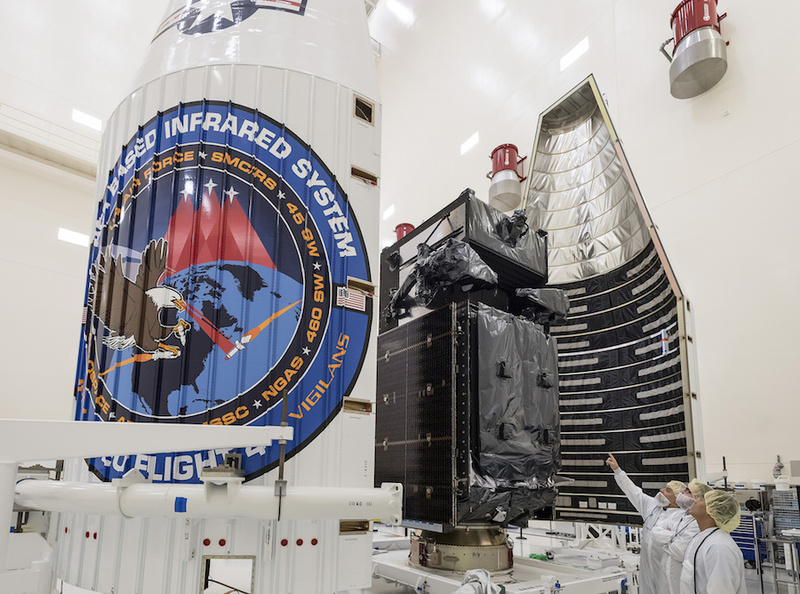 The $1.2 billion SBIRS GEO Flight 4 satellite aboard the Atlas 5 rocket will finish the initial deployment of the Air Force’s new-generation missile-warning network. When complete, the constellation that will include a minimum of four SBIRS craft stationed in geosynchronous orbit and at least two infrared payloads in egg-shaped orbits aboard top secret National Reconnaissance Office spy satellites, providing polar coverage. Built by Lockheed Martin, the SBIRS satellites carry sharp-eyed infrared sensors to detect heat plumes from rocket launches, feeding data to the military about the origin and trajectory of missiles that could be heading for U.S. territories, deployed troops, or allies. 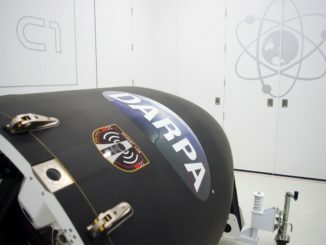 The infrared payloads are provided by Northrop Grumman. Three previous SBIRS satellites launched on Atlas 5 rockets in 2011, 2013 and 2017. The fourth will give the SBIRS fleet global coverage, replacing missile detection capabilities currently provided by older, previous-generation Defense Support Program satellites. Four “SBIRS HEO” piggyback sensor packages have launched on classified NRO spy satellites. Two are needed operational at any time. The Air Force has ordered two more SBIRS satellites for launch in 2021 and 2022 to improve coverage, and eventually replace the first two SBIRS geosynchronous spacecraft. “The succesful launch and operation of this fourth SBIRS GEO satellite will mark the completion of the SBIRS baseline constellation,” said Col. Dennis Bythewood, director of the remote sensing systems directorate at the Air Force’s Space and Missile Systems Center. “SBIRS is intended to replace the legacy Defense Support Program satellites that have been providing missile warning for worldwide missile launches since 1970. “The SBIRS constellation delivers timely, reliable and accurate missile warning and surveillance information to the president, the secretary of defense, combatant commanders, the intelligence community and other key decision-makers across our nation,” Bythewood said in a pre-launch briefing with reporters. 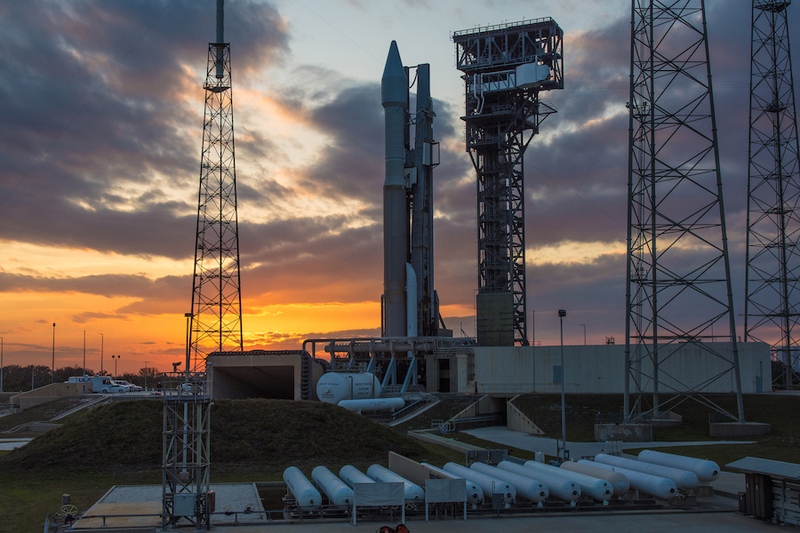 The Atlas 5 flight with SBIRS GEO Flight 4 will mark the first of the year for ULA’s workhorse rocket, and the 75th Atlas 5 launch overall since it debuted August 2002.